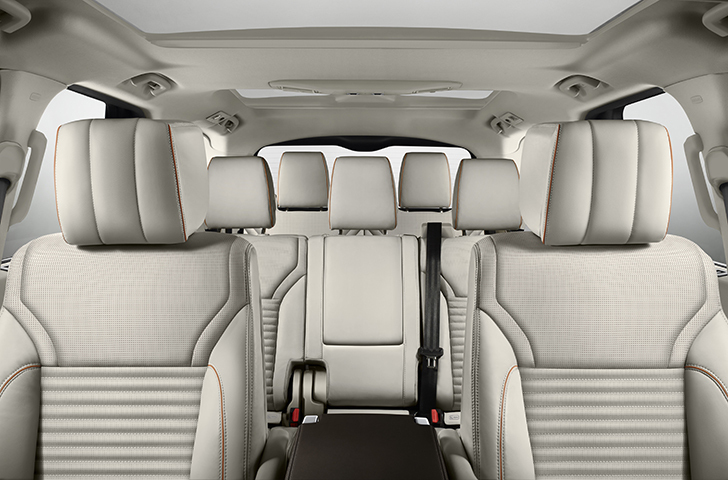 Flexible interior provides seven full-sized adult seats. Semi-autonomous safety technology provides the family peace of mind. Premium interior combines leading design with durable, high-quality materials and space for the whole family. Land Rover's full-sized SUV architecture delivers world-beating all-terrain capability. Towing king: best-in-class 3,500kg towing capacity and semi-autonomous Advanced Tow Assist take the stress out of difficult reversing manoeuvres. Design retains key Discovery family cues, adding optimised proportions and sophisticated surfaces. Up to 2,500-litres of luggage space and clever storage for 21st century family essentials. Digital Discovery equipped with up to nine USB ports and six 12-volt charging points. New Discovery will continue Land Rover's work in humanitarian aid and conservation projects around the world. 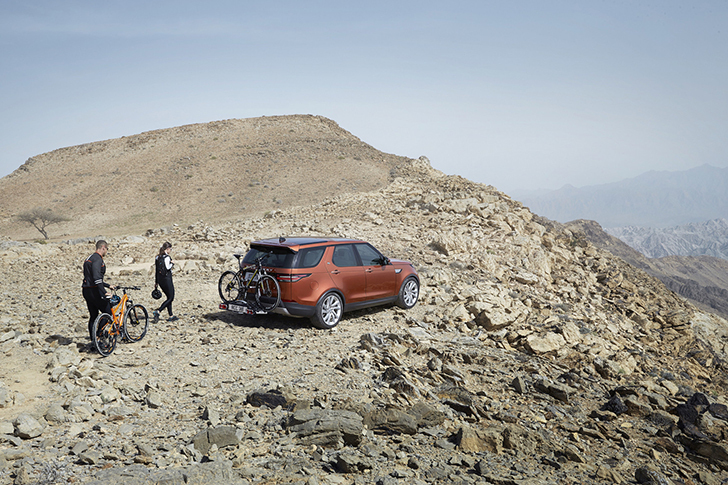 South Africa, 29 September 2016 – The New Discovery embodies Land Rover's drive to go Above and Beyond, combining British desirability with an unstoppable spirit of adventure. It's an authentic, three-row, seven-seat SUV with unbeatable capability and versatility. The fifth-generation model benefits from Land Rover's strong, safe and light full-size SUV architecture, delivering comfort and adaptability like no other. The New Discovery is for the digital age. Ingenious technology keeps your family safe, connected and confident on all surfaces, all terrains and in all weathers to ensure your destination is reached. 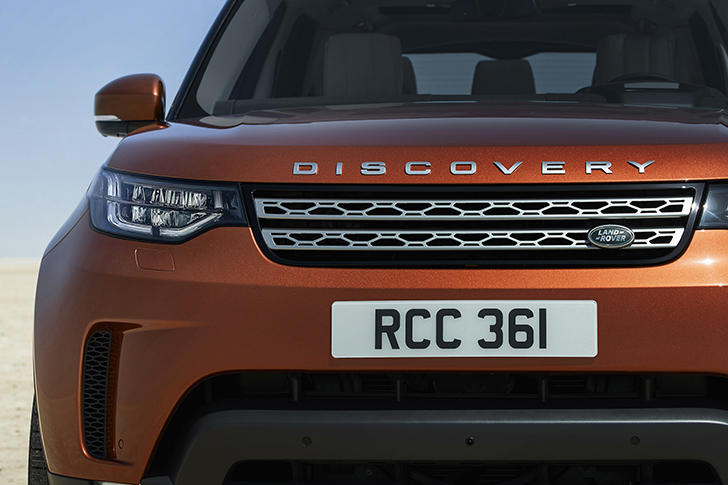 "New Discovery redefines the large SUV. 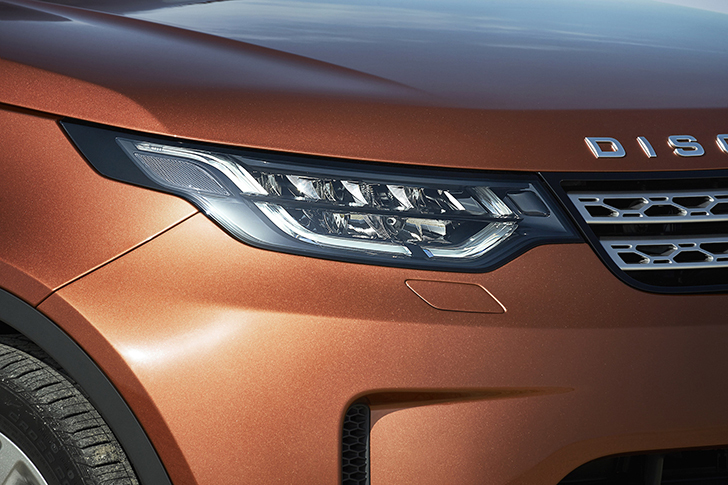 Land Rover's design and engineering teams have revolutionised the Discovery DNA to create a highly desirable, extremely versatile and hugely capable premium SUV," said Gerry McGovern, Land Rover's Chief Design Officer. "We truly believe the result is a radical departure in design that will introduce the Discovery family to a new, wider customer base." 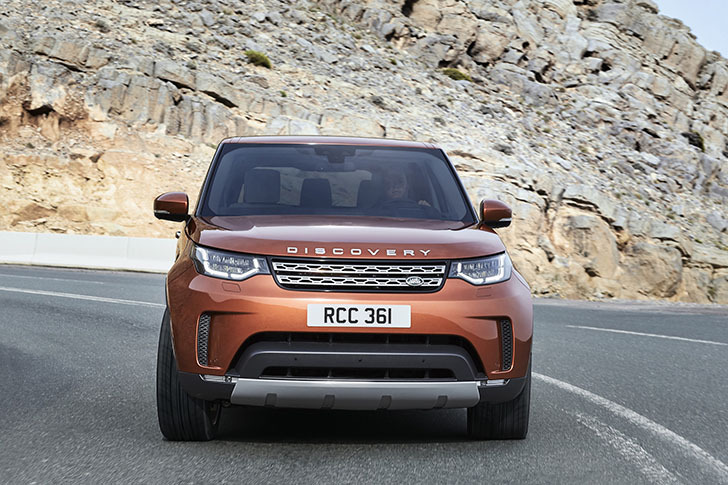 New Discovery was previewed by the Discovery Vision Concept, which showcased the future direction of the entire Discovery family when it debuted at the New York Auto Show in 2014, and represents a radical departure for Land Rover's most versatile SUV. The revolutionary design gives Discovery a dynamic appearance with sophisticated surfaces and precisely engineered details designed to resonate with customers on an emotional level. "Design creates an emotional connection between our customers and our vehicles. Our clear design strategy means our vehicles are instantly recognisable and communicate the values of Land Rover that our customers love," said McGovern. "New Discovery's flawless volume and proportions, sophisticated surfaces and precise detailing beautifully combine with engineering integrity to create a premium SUV that will resonate with today's customers." The Discovery family has always had a spirit of adventure and the new model provides a dramatic reinterpretation of Discovery's 27 years of heritage and practical DNA with a sophisticated design that pays homage to previous models without being restrained by them. Trademark design features include the stepped roofline, which has identified each of the four previous generations of Discovery and provides an elegant solution to a practical need. The stepped profile optimises headroom for passengers travelling in the third row of seats. It also accommodates Discovery's customary stadium seating configuration, which sees each row of seats positioned higher than the one in front, ensuring every seat is the best seat in the house. Land Rover's design and engineering integrity ensures New Discovery is able to accommodate seven full-sized adults in an SUV body measuring less than five metres in length (4,970mm). Most similar-sized competitors provide 5+2 seating but New Discovery is designed for 95th percentile adults to sit comfortably in its rearmost seats, providing complete interior flexibility. Both third-row seats incorporate ISOFIX mounting points (five in total), so families have the freedom to put child seats in the most appropriate seat for any journey. The interior of New Discovery continues the design revolution started by the Discovery Sport, where customers can specify a range of premium materials including luxurious Windsor leather upholstery and natural oak veneers. The limited-run ‘First Edition' model showcases the very best of New Discovery. Only 2,400 examples will be available globally with exclusive features including unique etched map detailing on the aluminium trim for the doors and facia, unique badges, bold colour choices and a comprehensive list of standard equipment. 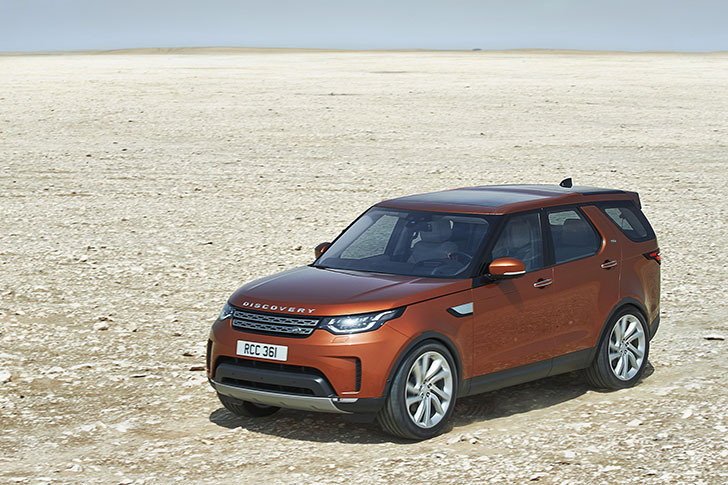 Only 14 units of the New Discovery First Edition will be sold in sub-Sahara Africa markets, making it instantly exclusive for those who buy one. The optional Dynamic Design Pack gives New Discovery a more purposeful, stealth-like appearance both inside and out, with features including a contrast roof, athletic front and rear bumper designs, luxurious leather upholstery and a sports-inspired steering wheel and pedals setting it apart. New Discovery provides world-first Intelligent Seat Fold technology, allowing customers to reconfigure the second- and third-row seats with minimal effort using controls at the rear of the vehicle, the central touchscreen and even remotely via a smartphone app as part of the InControl Touch Pro Services. The innovative feature allows owners to rearrange the seats from inside a shop while they queue to pay for large or bulky items, ensuring the vehicle is perfectly configured to accommodate their purchases. All three rows are available with heated seats - heated and cooled in rows one and two -while massage seats are available for the driver and front passenger to optimise comfort on long journeys. 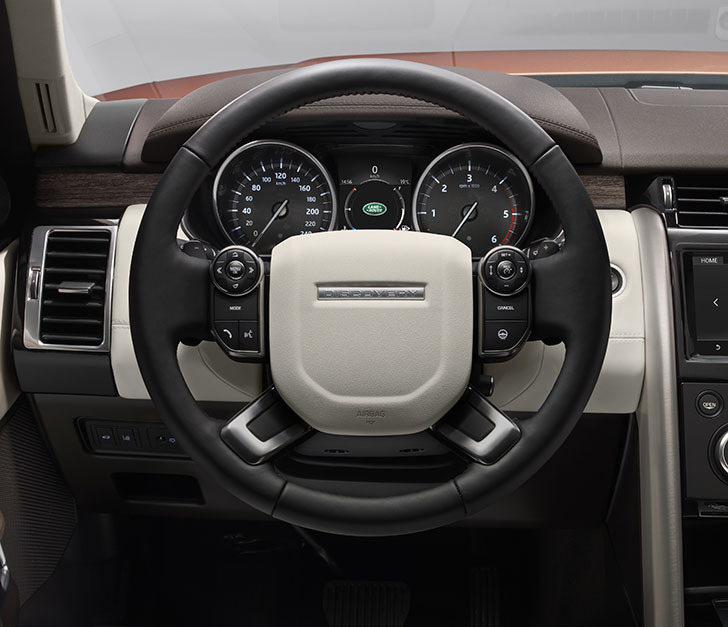 Enjoying the spacious interior of New Discovery is made easier by another thoughtful Land Rover innovation. Auto Access Height technology reduces the ride-height by up to 40mm as passengers prepare to enter or exit the vehicle. 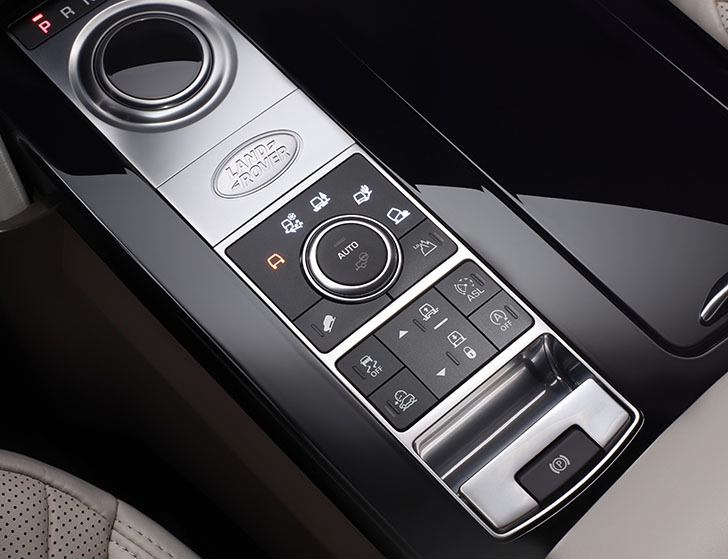 Alongside the spacious and flexible seating layout, the other key to New Discovery's superior versatility is Jaguar Land Rover's InControl Touch Pro infotainment system. 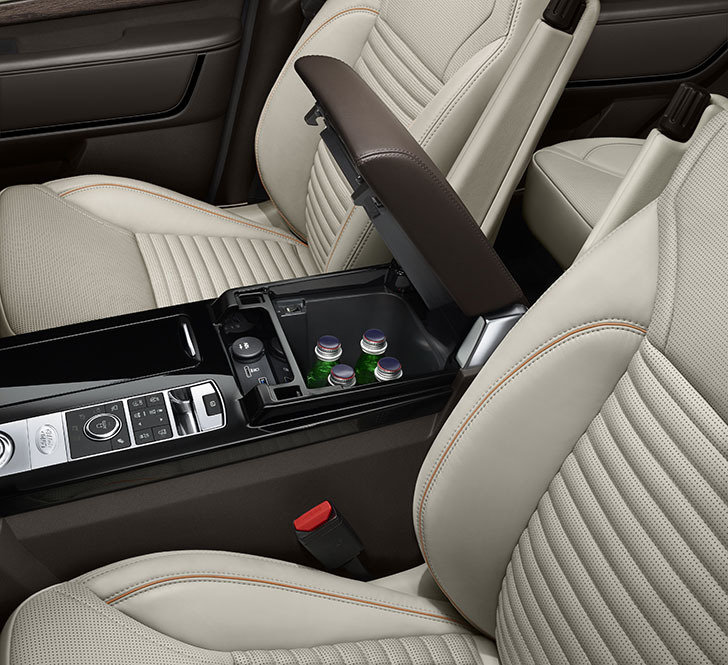 The intuitive set-up features a large 10-inch touchscreen positioned high on the centre console, enabling Land Rover's designers to reduce the number of switches on the centre console by a third, delivering a clean and uncluttered appearance. Crisp graphics and easy-to-navigate menus incorporate the latest navigation and seamless connectivity to play music from iOS and Android mobile devices. Combined with a 14-speaker Meridian digital surround system with an additional subwoofer, it is the ultimate entertainment system for passengers in the New Discovery. Up to six 12V charging points ensure New Discovery is perfectly equipped to cope with the demands of the most connected families, while as many as seven USB sockets (up to nine when the rear seat entertainment is fitted) allow passengers in each row to power their smartphones or tablets simultaneously. Another technology feature for active families is Land Rover's state-of-the-art Activity Key wristband, which allows customers to enjoy sports and active hobbies without carrying the standard key fob. 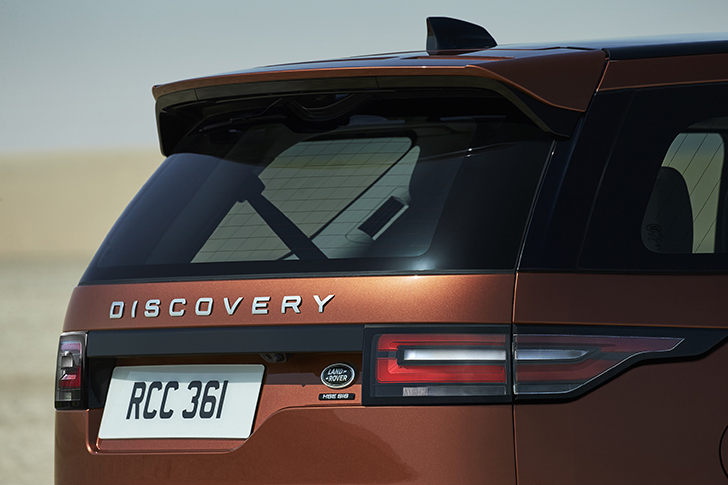 Holding the waterproof Activity Key up to the ‘D' in the Discovery badge on the tailgate simultaneously locks the vehicle and disables the ordinary key, which can be left safely inside. This leaves customers free to run, swim, ride or play without worrying about the security of their vehicle. Hidden cubby stowage in the central console capable of holding four iPads or a pair of two-litre drinks bottles. A central armrest cubby large enough to house five iPads with a lid that hinges through 180 degrees to function as an armrest even when open. Hidden small-item stowage behind the fold-down Climate Control panel. A flush-fitting push-operated ‘curry hook' in the front passenger footwell capable of securing carrier bags. The effort put into developing New Discovery's first-rate cabin stowage has been matched by the thought put into its luggage space. The premium SUV provides up to 2,500 litres of load capacity, or up to 1,231 litres behind row two, and the new dual-purpose Powered Inner Tailgate provides all the versatility expected from a vehicle wearing the Discovery badge. When raised, the fold-down panel at the leading edge of the load area operates as a practical load restraint, but when lowered the 285mm overhanging section doubles as a useful bench for event seating or changing muddy footwear, all under the shelter provided by the new one-piece tailgate. This simple device replicates the functionality of the horizontally split tailgate fitted to previous generations of Discovery. 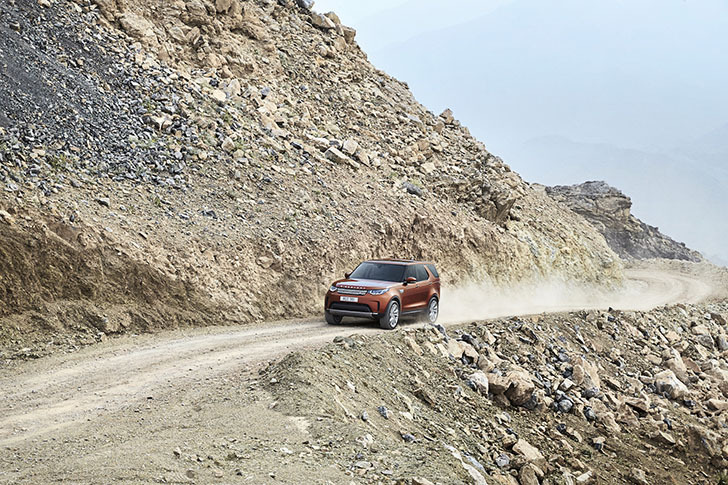 New Discovery retains renowned Land Rover all-terrain capability thanks to its combination of excellent off-road geometry and advanced technology, while improving its everyday usability. Ground clearance is rated at 283mm (up 43mm) while a maximum wading depth of 900mm (an increase of 200mm) puts Discovery in a class of its own, providing unrivalled confidence when tackling both waterlogged tracks and flooded roads. A comprehensive suite of off-road driving technologies ensures New Discovery's supreme all-terrain capability is easy to access for even inexperienced drivers. Land Rover's multi-mode Terrain Response 2 system optimises a range of settings, from throttle sensitivity to gear change characteristics, to suit the driving conditions at the turn of a rotary controller – and can even select the optimum setting automatically if drivers are unsure of the best choice. When tackling particularly challenging terrain, All-Terrain Progress Control (ATPC) can be programmed to autonomously maintain a suitable crawl speed chosen by the driver. The clever technology allows the driver to concentrate solely on steering the vehicle as they negotiate obstacles, without the distraction of operating the throttle or brake pedals, and can also be used from a standstill to help when pulling away on slippery surfaces. On-road performance is enhanced by Land Rover's proven lightweight and durable aluminium monocoque architecture, which contributes to a 480kg weight saving compared to steel ladder construction. 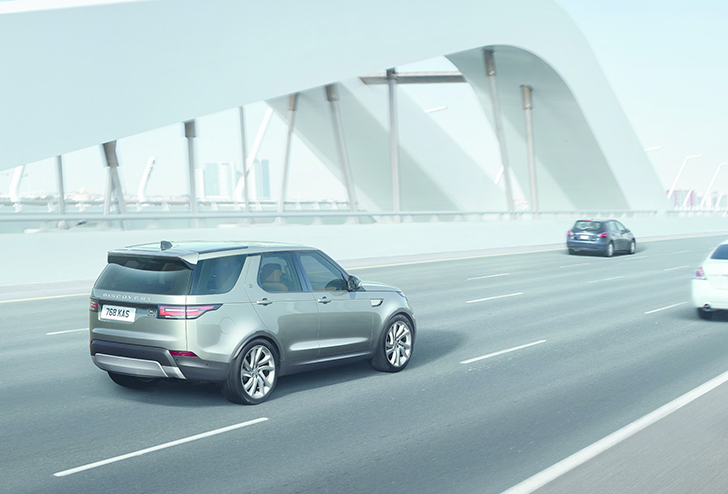 Land Rover's advanced integral link rear suspension delivers superior handling characteristics without compromising the superb ride comfort that has defined successive generations of the Discovery family. 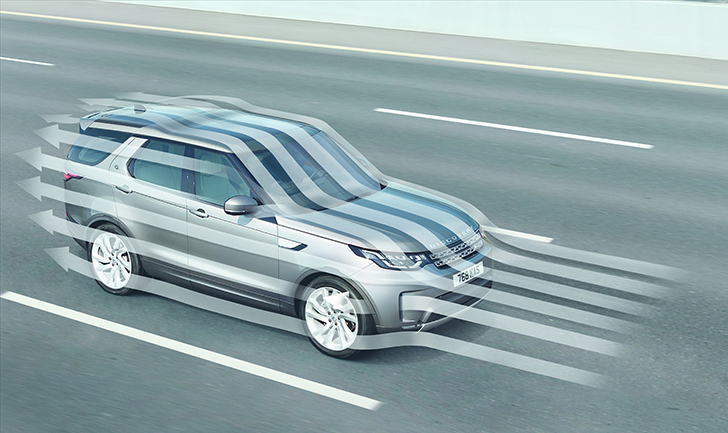 Land Rover's trademark Command Driving Position also allows customers to enjoy New Discovery's enhanced breadth of capability in complete confidence, irrespective of the road and weather conditions, by providing excellent visibility. This confidence extends to towing capability, which has been a hallmark of every generation of Discovery since it was used to tow a train at its original launch in 1989. With a maximum towing capacity at a class-leading 3,500kg, Land Rover has developed clever technology to make the Discovery's towing ability more accessible than ever. 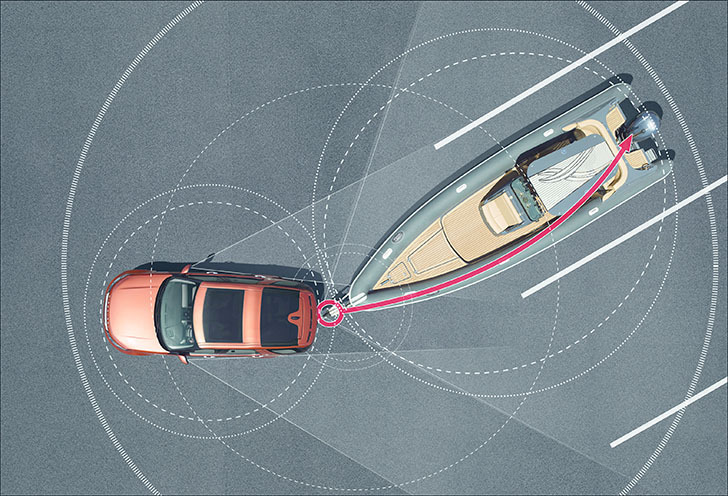 Advanced Tow Assist is an ingenious development, which allows drivers to complete potentially difficult reversing manoeuvres when towing trailers, caravans and horseboxes with ease. Even absolute novices will be able to park using the clever system as it takes care of the tricky counter-steering required to position trailers accurately when reversing. The driver can simply guide the trailer into the desired space using the rotary controller for the Terrain Response 2 system. To make the job even easier, responsive guidance lines overlaid on the feed from the rear-facing camera are displayed on the central touchscreen, taking the stress out of an otherwise tricky task. Six-cylinder diesel power comes from the 190kW Td6, which delivers 600Nm of torque for strong performance, pulling power and efficiency. For petrol customers, Land Rover's advanced 250kW supercharged petrol 3.0-litre V6, the Si6, provides 450Nm of torque to deliver relaxed performance and capability.